Diktons Stone Beige and White Cardigan 2315. 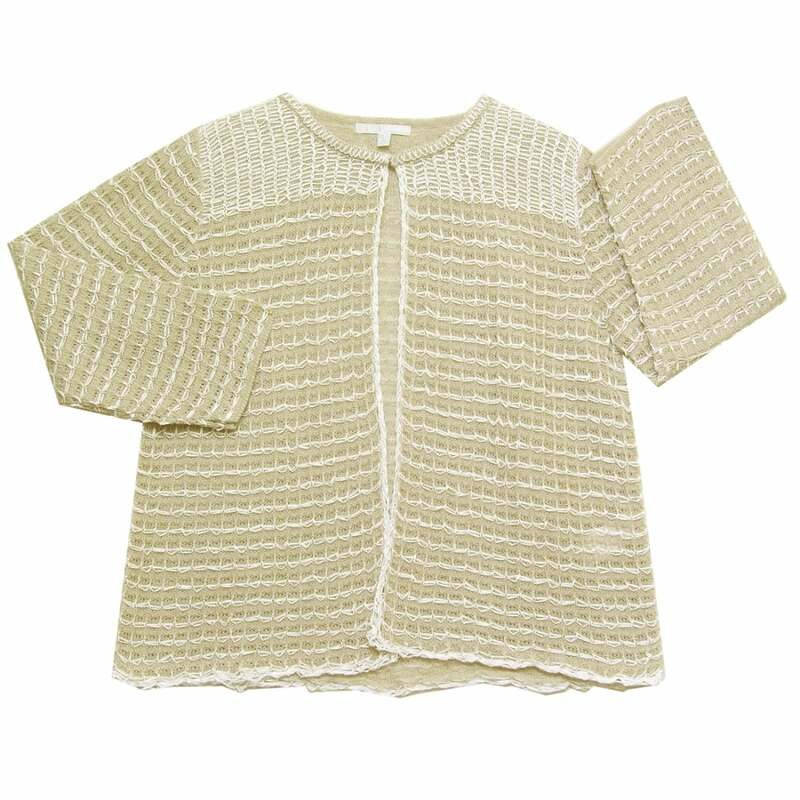 Cardigan, three quarter sleeves, round neck, single button closure at the neck, in a stone beige viscose blend fine knit over knitted with white polyamide tape. 73 percent viscose 27 percent polyamide.